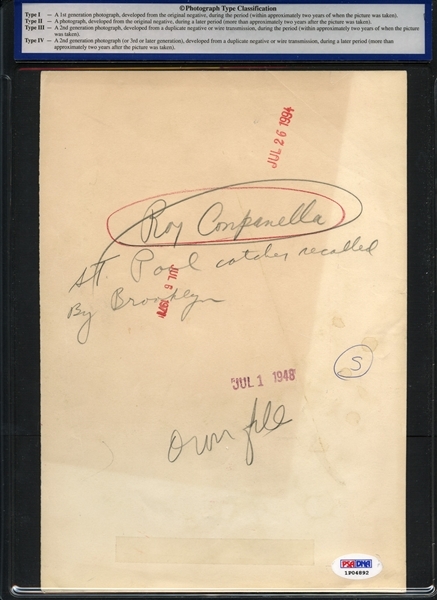 While Jackie Robinson was breaking the color barrier, all-world catcher Roy Campanella was next in line, getting a call up to the Dodgers after a brief stint in St. Paul. 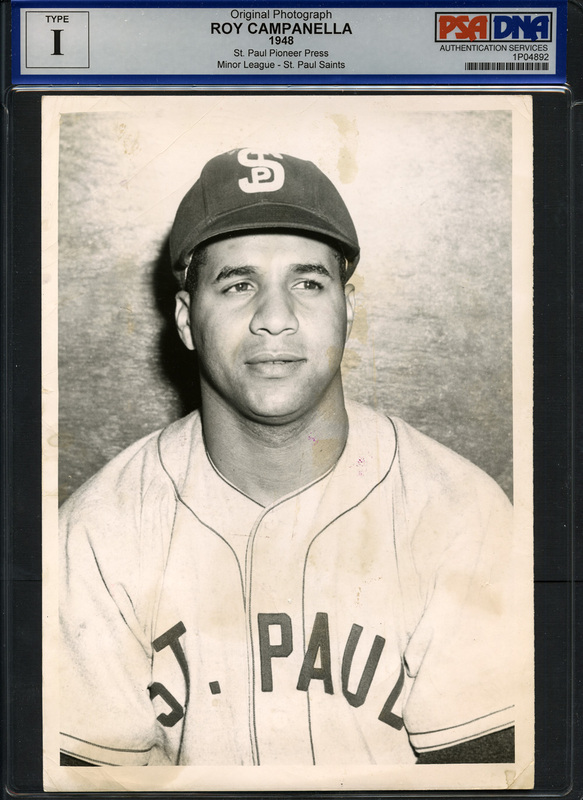 "Campy" is featured in this original type I photo as a member of those St. Paul Saints, extremely rare considering he played only 35 games for the team. This photo ran in the St. Paul Pioneer Press upon Campanella's promotion to "The Big Apple." PSA/DNA authenticated. Auction closed on Friday, May 6, 2016.